Hurt? Our Law Firm Gets Compensation for the Injured! When you or a loved one is seriously injured in an accident in Yuma, you should contact attorneys that get results. When you contact our personal injury lawyers, that’s what you get! Plus, you can be assured that you you will receive that highest level of customer service and attention. Lerner and Rowe has grown to be one of the largest accident and personal injury attorney law firms in the state of Arizona with locations in Yuma, Phoenix, Glendale, Arrowhead, Mesa, Tucson, Gilbert and Bullhead City. Our personal injury attorneys are available 24 hours, 7 days a week. Contact us today by calling our offices directly at 928-344-6200, chat with us online or submit an online case review form. Don’t let the fear of costly attorney fees keep you from seeking representation from one of our board certified personal injury attorneys in Yuma. When you contact us, there are no up-front fees or out-of-pocket costs. All you need to do is make one call, that’s all to 928-344-6200, or fill out an online form to schedule a free case evaluation today! Our personal injury attorneys are here to assist you get a check after you’ve been hurt in a wreck. Our aggressive Yuma personal injury attorneys and legal team will fight hard to get you the money you deserve. Contact us for help today. 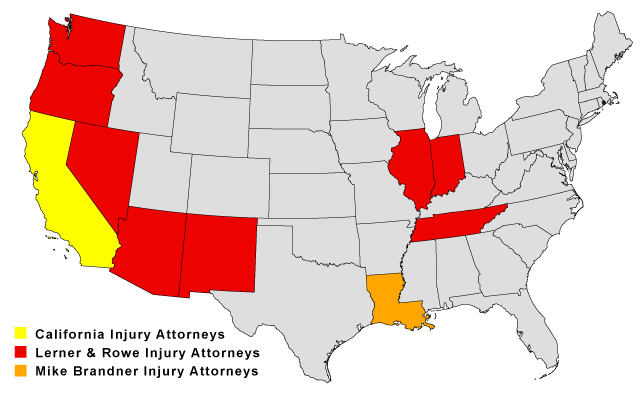 Can’t visit one of our personal injury offices in Yuma? Don’t worry. We will come to you! Schedule a free, no obligation personal injury consultation with us 24/7. Just submit a FREE online case review form, chat with a live representative or call 928-344-6200.